Growing up, my dad coached all of us kids in various sports. He was a little league baseball and basketball coach for my brother, and maybe tackle football. He coached my sister and me in church basketball and church softball. Even as a grown adult, my dad still coached our women’s church softball team. That’s his temperament, his personality, and some might even say, his passion. When I played soccer and ran track for a few years, two sports I, nor my dad knew little about, he (and my mom) never missed a game or meet. If there was ever a question about an issue with a school coach, fairness, playing time or our talent, rest assured my dad held an opinion. During our cheerleading years, my dad would offer support to my sister and me and (jokingly) explain and sometimes demonstrate to us how to improve our toe-touches and herkies. I only wish I was kidding. Even when my dad wasn’t in an “official” coaching role, his presence could still be felt from the sidelines, bleachers or stadium stands. (Ahem!) He can’t help it. 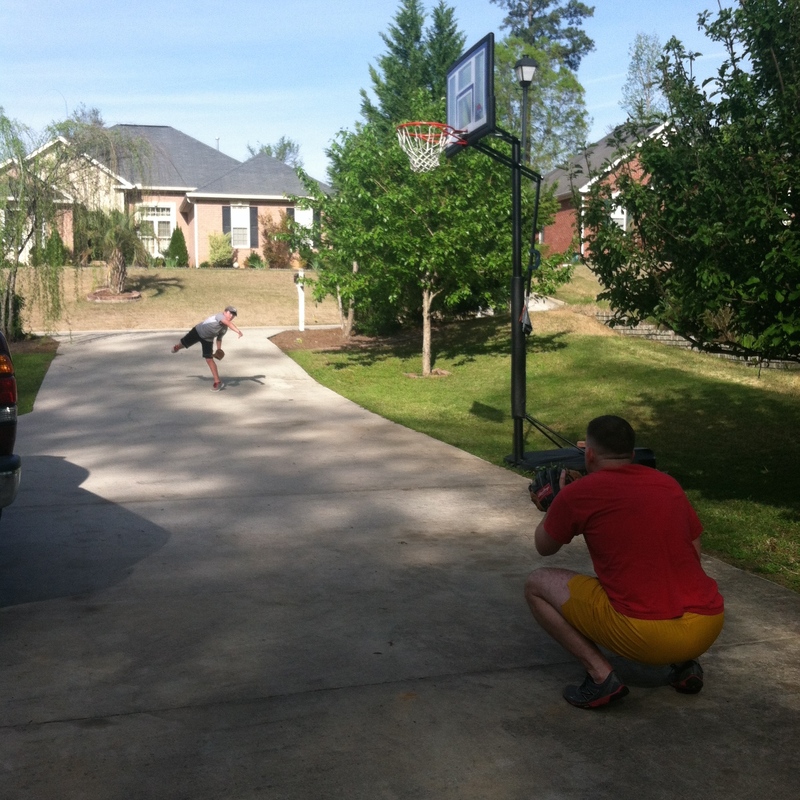 It’s just a “Roberson thing.” I will admit, that’s where I get my overly competitive nature; that gene runs strong. While the methods and mannerisms are totally different, Ryan is every bit as much of a coach and cheerleader for our kids as my dad was/is for my siblings and me. Ryan goes about it an entirely different way, but his effectiveness as a coach and teacher is equally compelling. 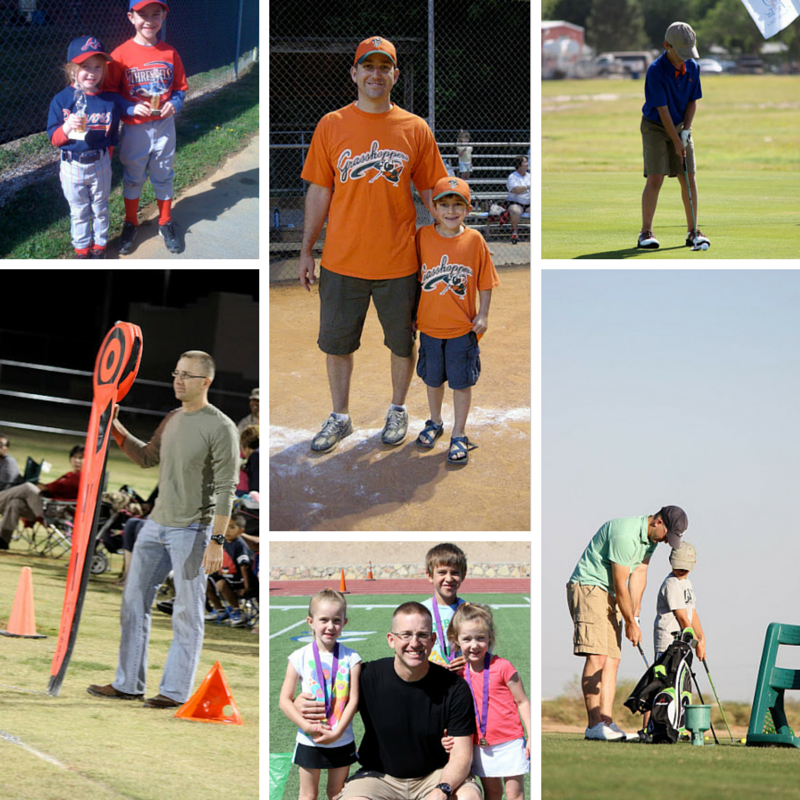 With the onset of spring and summer baseball, all manner of coaches and dads at the ball field and little boys everywhere aiming to please (and have fun), I’ve come up with my own list of five observations as to what makes a dad a great coach. 1. Ryan invests his time sharing the love of the game (any game, pick a game, any game) with Thomas. These two guys watch the Braves, golf, the Bulldogs, Nascar, the Falcons, NCAA March Madness, spring training, pre-game, post-game, the draft, 30-for-30s, ESPN and SportSouth. There isn’t a detail of any sport or athlete or competition that these two don’t analyze or enjoy. The August (2013) Ryan returned home from Afghanistan, I heard Thomas ask Ryan if he noticed the font on Georgia’s football uniforms being different from the year before. #obsessed No matter the season or the sport, my guys share a bond that’s awfully tight. 2. Ryan has made it abundantly clear with his words and actions and affirmations that his love for his son has ABSOLUTELY no connection to Thomas’s athletic performance. There’s nothing Thomas could do, no grand slam, no tackle, no fielding error or hitting-it-in-the-hazard that would cause Ryan’s love for him to wane. No achievement too great, no mess-up too big…Thomas could never lose the affections of his dad. He knows that Ryan’s love is unconditional; there are no conditions to gain or lose, to win or forfeit that kind of love. 3. 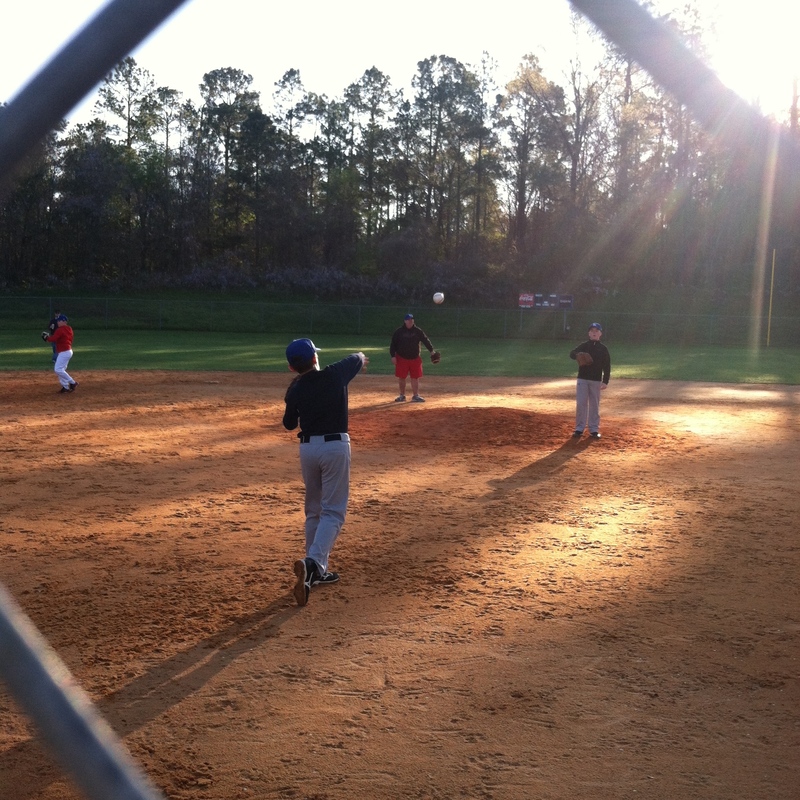 Ryan does his coaching from the privacy of our home, not from the bleachers or sidelines. You will never see Ryan come unglued at a sporting event. Me? Maybe. Ryan? Never. Ryan is watching and paying close attention to every nuance of the sport. He doesn’t shout or fuss or yell at Thomas in front of his coaches or teammates. Ryan does, however, let Thomas tackle him in our backyard until he gets a drill just right. He’ll take him to hit range balls until he perfects his golf grip or swing with his nine iron. He will type up a conditioning workout for baseball, print it off, post it on the fridge and run sprints with Thomas. He will feed the kid bounce passes until he doesn’t miss a lay-up. 4. Ryan is passing along a steady, quiet confidence in Thomas that will long outlast any run he has with team sports. Let’s face it. As much as kids these days have dreams of becoming the next Bubba Watson or Tim Tebow, the fact (and statistics) remain that the vast majority of kids won’t go on to athletic legend-dom. Ryan isn’t selling Thomas a dream that with enough guts, glory or hustle that he will one day become a great athlete. Ryan is conditioning Thomas to be a young man of resolve and integrity who perseveres and handles the pressures life may hand him. Those lessons Ryan is teaching Thomas now through pitching, sinking a putt or free throw will one day be the very instruction that gives Thomas the courage, grit and persistence to be a Godly man in an unGodly world, a faithful husband and committed father. The small, faithful practices of today will one day become small (and great) faithful practices of tomorrow. This, indeed, is the art of manliness. 5. Ryan keeps team sports in perspective; he knows they have a time cap. Therefore he shares his love for lifetime sports/hobbies as well. We are a sports family. We love sports. We make it a priority (especially with all of our moving) to allow our children (the girls too) the opportunities to try out various sports and activities and lessons. In our parenting, we decided long ago that as much as we want our kids to enjoy their childhood, engage and explore their individual talents and interests, WE ARE NOT RAISING PROFESSIONAL ATHLETES. 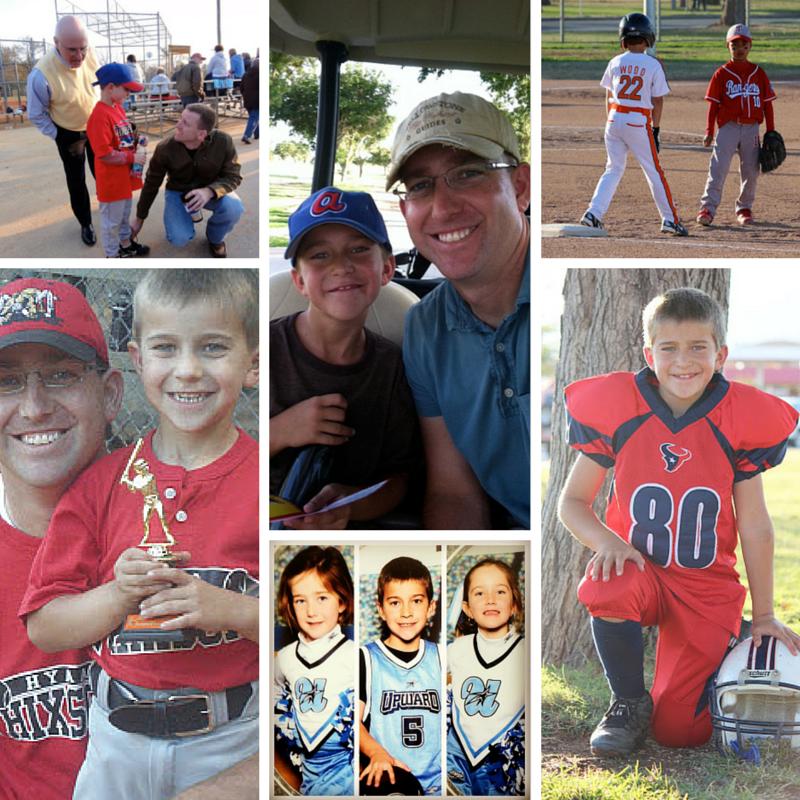 Ryan loves coaching Thomas in his gridiron stance, his perfect “choke up” on the baseball bat or his left-handed dribble. More-so, Ryan loves taking Thomas out to play a round of golf; a sport they can both enjoy into their old age. He also adores the time he can take Thomas into the woods hunting turkeys or scouting for deer sign. Some of Ryan’s best memories are of catching crappie and baiting hooks with his boy (and girls). Today I just wanted to take a minute to share what I see from the sidelines. There’s a great coach that lives in our house. There’s also a young man here that adores his number one fan more than he’d adore the Braves winning the World Series. Wow! What a wonderful tribute to Ryan. This should be in Sports Illustrated. Bravo.